A DUP MP has spoken out strongly about the need to understand and celebrate minority faiths in Northern Ireland. 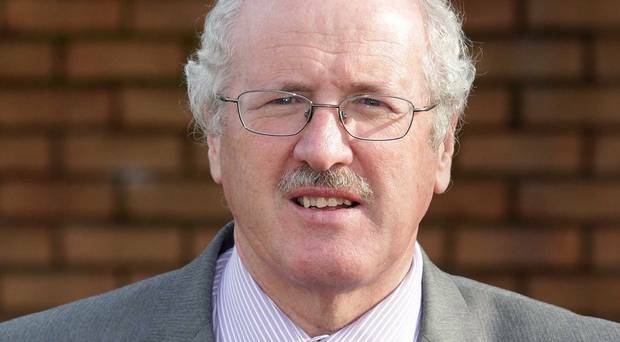 Strangford MP Jim Shannon also said he was disheartened at the thought of far-right group Britain First operating here. Mr Shannon was speaking after attending an inter-faith celebration in Omagh at the weekend for greater understanding towards religious minorities. 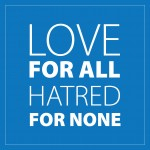 The 138 guests at the event included representatives of the main political parties and the PSNI, as well as religious leaders from the local Churches, and the Muslim, Hindu, Sikh and Baha’i faiths. The audience included people from different ethnicities and diverse professions, such as doctors, nurses and teachers. It comes after pig meat was thrown through the door of Belfast Islamic Centre before Christmas – one of several racist attacks on the Muslim community here in 2017. “Saturday was a chance to raise awareness and educate people who didn’t know as much about the faith of Muslims, Hindus, Sikhs and Baha’is,” the DUP MP said. “That also goes for those that don’t know a lot about the Protestant or Catholic faiths as well. “I despair when I hear about Britain First trying to build a profile in Northern Ireland. “There’s a mosque in my home town of Newtownards. They’ve been living here for 30-odd years, have businesses and have brought up their families here. They’re as much a part of this community as I am. Dr Nauman Iftikhar from the Ahmadiyya Muslim Association Ireland organised the Omagh gathering, and described such events as vital to improving community relations. The anaethetist, who lives in the Co Tyrone town, said: “Religion can sometimes wrongly be a source of hatred. I believe this can be caused by misunderstanding, which leads to fear, chaos and unrest.